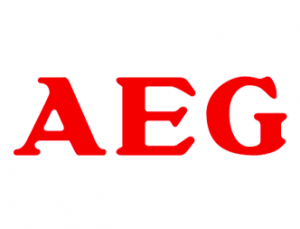 AEG was founded in Germany in 1887. Their name stands for Advanced Engineering from Germany, aiming for their products to be perfect in both form and function. In 1950, AEG created the first automatic washing machine, which led to the first green range, and the first induction cooktops, so it’s easy to see how they became leaders in home based technology. AEG has a commitment to perfection, establishing themselves as household innovators for over 100 years. In 2011, AEG launched the Neue Kollektion, which combined 125 years of crafting knowledge with their goal of perfection. Each day, AEG strives to create the best appliances for your home. Warranties on appliances can run out and like many other products, AEG appliances may break down after several years of use. AEG refrigerators could begin to leak over time and AEG washers may need to have water pumps replaced. Whether you are experiencing these problems, or others, Fast Appliance will repair your AEG cooktops, dryers, dishwashers, washers, ovens, stoves, and fridges.